As the opening credits roll, one of the movie’s top songs—Rangeen bahaaron se hai gulzaar Chinatown—plays. The camera zooms in on a Chinatown hotel called Blue Dragon, owned by Joseph Wong (Madan Puri, rather diabolical). 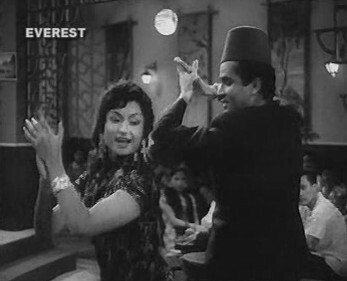 At the hotel, dancer Suzie (Helen) entertains patrons before meeting boyfriend Mike (Shammi Kapoor). Mike’s a big time Chinatown hoodlum: suave, arrogant, and addicted to Macao opium. Later the same night, Mike’s car crashes and he’s arrested by the police, who’ve been tailing him. 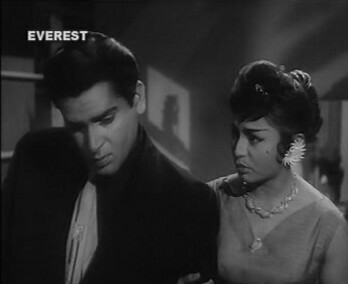 Cut to Darjeeling, where a madcap singer, Shekhar (Shammi Kapoor, in a curly-haired, thin-moustached avatar) is courting Rita (Shakila) and disaster: her father thinks Shekhar’s a “cartoon”. With reason, I think! 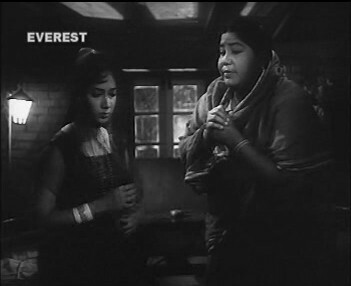 Rita’s father (S.N.Banerjee), finally fed up, takes her off to Calcutta to get her away from Shekhar—who promptly follows, disguised as a sadhu. Rita’s father wants her to marry a Mr Chowdhury. 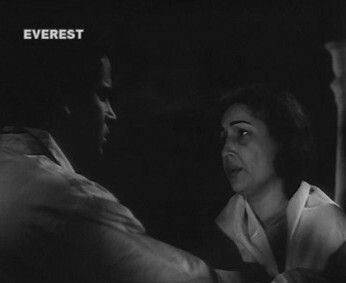 But Shekhar’s persistent as ever, and Rita’s father hauls him off to the police station. There, Inspector Dutt (Kanu Roy) notices Shekhar’s resemblance to Mike. He offers Shekhar a job: to infiltrate the Chinatown smuggling gangs by passing himself off as Mike. This takes time (Shekhar’s a far cry from Mike as far as temperament and mannerisms go). Just as he’s ready to try getting into Chinatown, his mother arrives in Calcutta—and is very distressed when she learns about Mike. The story emerges: twenty years earlier, Shekhar’s father was a violinist whose violin was being used by some Chinatown crooks, including Joseph Wong, to smuggle opium. When Daddy realised what was happening, he informed the police—and Wong retaliated by kidnapping Shekhar’s twin, Shankar; Daddy was killed off. Convinced that Mike’s his brother Shankar, Shekhar’s now even more keen on landing Wong & Co. in jail. The police publish a rumour that Mike’s turned informer. Wong’s henchmen arrive at the hospital where Mike’s supposed to be recovering from his accident—and are met by Shekhar (or `Mike’), who stages a quick escape with them. And here we are, back in Chinatown! 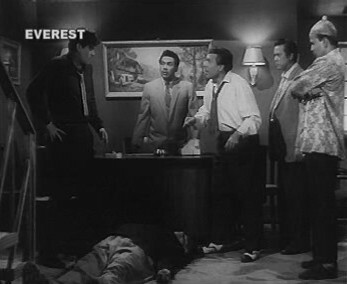 Shekhar meets the other members of the gang: Usman, Ching Hwa, Phillip and the shoemaker Ching Lee (Shetty). Shekhar’s off to a flying start. He creeps into Wong’s office to pinch a list of agents, and when he’s caught by Philip, knocks him out and pretends Philip’s a police stooge. 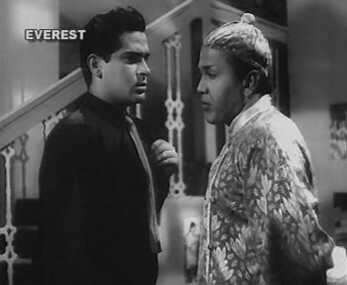 Wong sends Shekhar to meet someone called John, who’s arriving from Singapore. 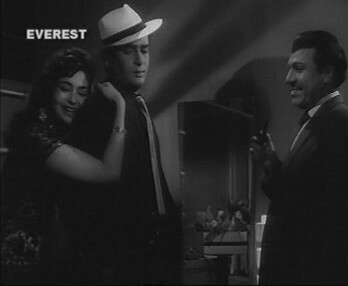 Shekhar manages to get John arrested while he goes off on a quick car chase-turned-date with Rita. A delightful interlude here, at the Mahakali Hotel, run by an adorable couple (Rashid Khan and Tuntun, the latter superb as the bossy South Indian wife of a henpecked Bengali). Back in Chinatown, Shekhar gets given more assignments, including a delivery of opium smuggled inside the soles of his shoes. Nobody seems to wonder why the formerly surly Mike is suddenly so quick to shake a leg and burst into song. Anyway, it’s a good excuse for some peppy songs: Yamma yamma (tu parwaana main shama) and Bada qaatil hai mera yaar china chin chin choo. All this while, Shekhar and the police (including a young Sujit Kumar as an inspector) haven’t a clue who’s the brains behind the business. Will Shekhar be able to get the entire lot arrested? Will he be able to convince Mike that he’s his brother? How long before he blows his cover with yet another jig? 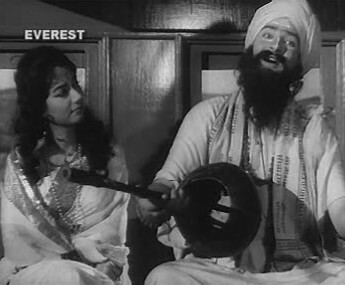 Shammi Kapoor! He’s so watchable. The music. Ravi’s excellent in everything from Baar baar dekho to Yeh rang na chhootega. Helen and Shakila: Well, what more can I say? Lovely ladies. The film noir element gets a bit diluted because of the songs. It detracts from the story, which begins to lose its grip midway. Yes, Bollywood I know, but I’ve seen better integrated song and dance. But, overall good time pass, as we say in India! 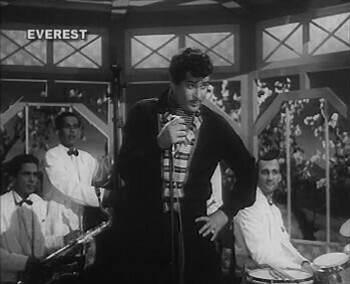 Yay Shammi :-) I love this film. Precursor to 1978’s Don! 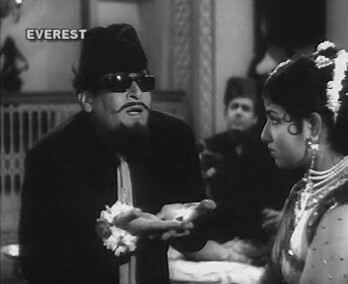 Madan Puri did the “Chinaman” shtick in Howrah Bridge too! Yep! And I do think he made a fairly decent “Chinese” – much more believable than Shetty, at any rate.